Something a little different today.... Lip gloss! What?! Don't worry, I've some palettes on the schedule too. I really have been loving gloss and palettes lately, although buying this made me feel a teensy bit ridiculous. I still did it, because, umm gloss, but it wasn't without contemplation. I mean, I can easily shell out $60 (or more) on a palette and have very little difficulty justifying the cost, but when it comes to $26 on a single tube of lip gloss? I get the feels. Feels that run the gamut of guilt, immediate buyers remorse, and just a dash of 'you only live once / you're worth it'. It's a real jumble. Something about lip gloss just doesn't feel like it needs to be that pricey. The upside? It's totally worth it in this case! 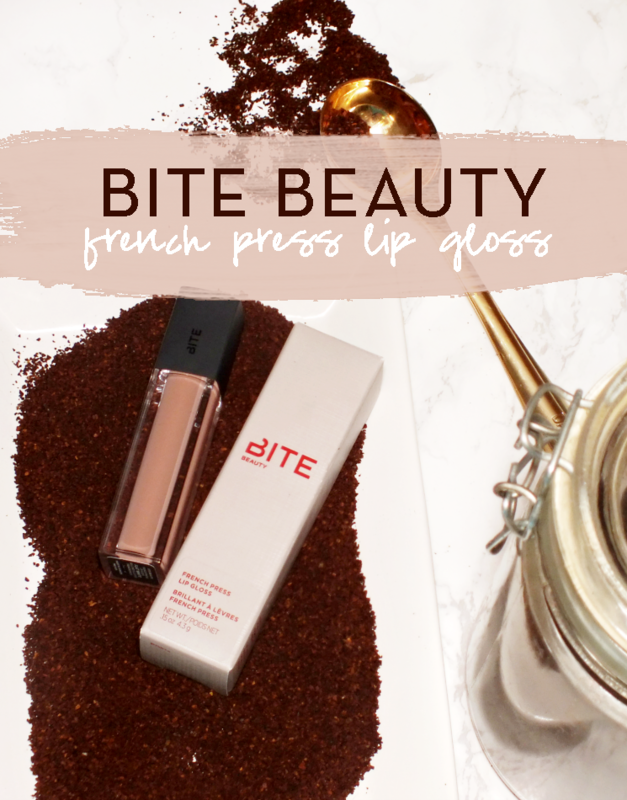 The Bite Beauty French Press Lip Glosses have been around for a few minutes, and initially I wasn't all that interested. They just didn't seem all that unique outside of their coffee theme. But (you knew there was a but) the more I saw them, and in particular the shade Flat White, the more I was swayed. I love colour, but when it comes to my most worn lip shades, they're neutrals / nudes. 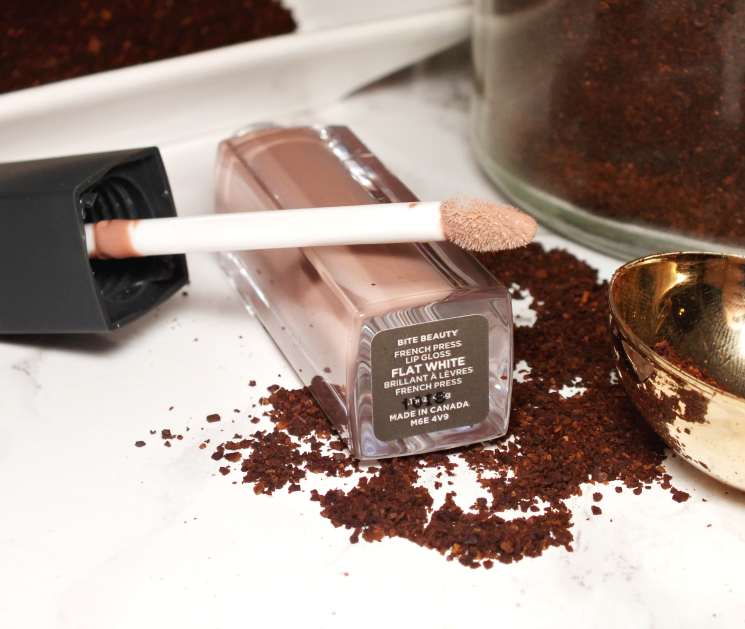 Flat White is a creamy / milky pale neutral pink gloss that is semi-opaque, making it a pretty much universal shade. 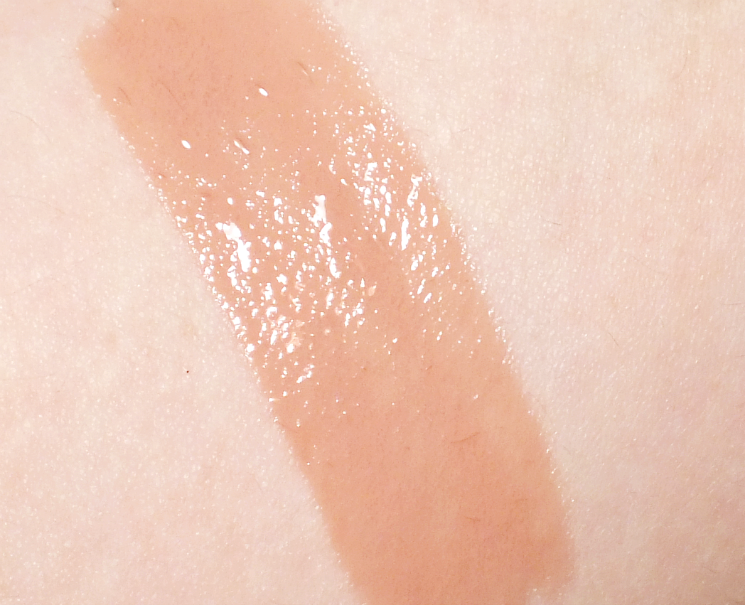 The semi-sheer coverage lets just enough of your natural lip shade through to stop this from looking too pale or harsh on deeper tones and has enough pink to not make paler skin look undead. Clearly, a gloss is more than just colour. 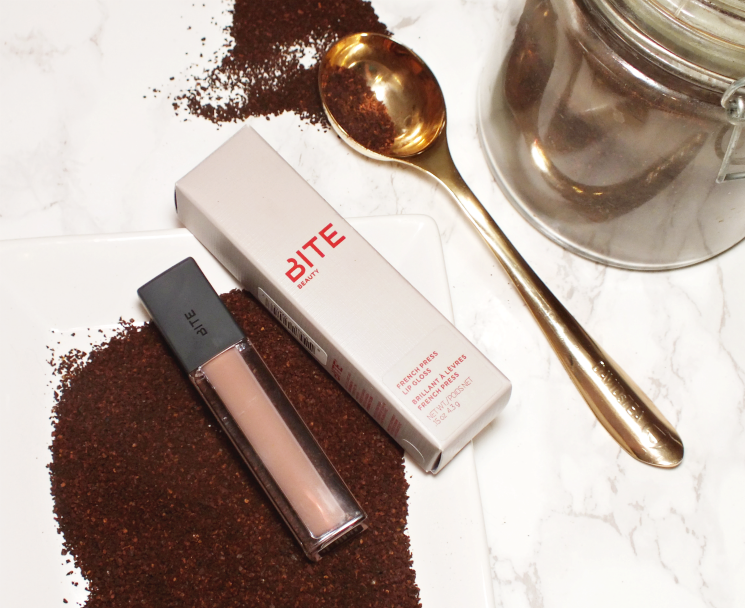 Bite also brings the perfect gloss formulation to the party with this range. The gloss is a little thicker than I expected, but it works so well for a longer lasting, but still not tacky wear. Formulated with coffee butters and arabica cold press coffee oil to add hydration to lips. It also has a really pleasant coffee scent and flavour. Worn alone or paired with a liner, this gloss just wears so perfectly. It sticks around for a few hours and gives lips a perfect glossy, plump look.